War Without Mercy has been hailed by the New York Times as "one of the most original and important books to be written about the war between Japan and the United States." 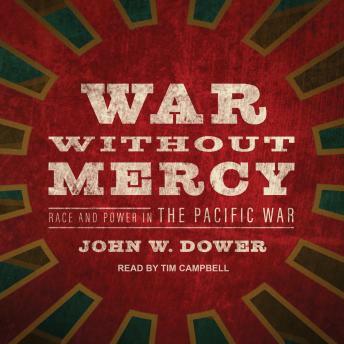 In this monumental history, professor John Dower reveals a hidden, explosive dimension of the Pacific War-race-while writing what John Toland has called "a landmark book . . . a powerful, moving, and evenhanded history that is sorely needed in both America and Japan." Drawing on American and Japanese songs, slogans, cartoons, propaganda films, secret reports, and a wealth of other documents of the time, Dower opens up a whole new way of looking at that bitter struggle of four and a half decades ago and its ramifications in our lives today. As Edwin O. Reischauer, former ambassador to Japan, has pointed out, this book offers "a lesson that the postwar generations need most . . . with eloquence, crushing detail, and power."